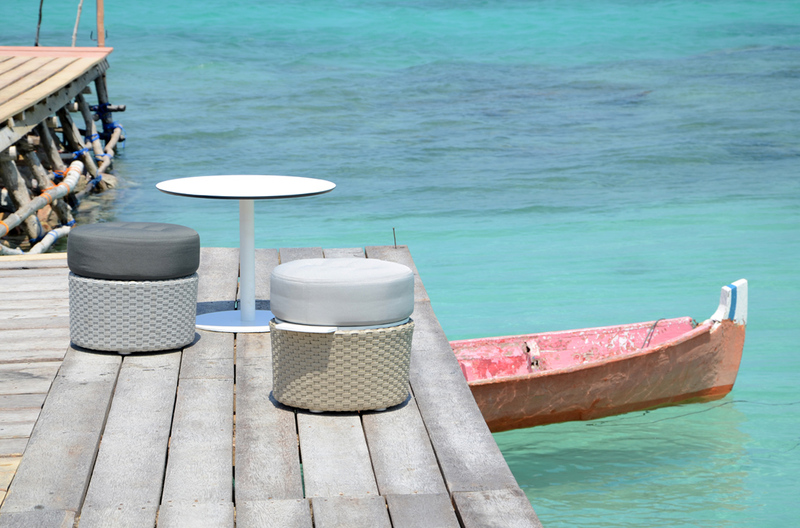 The Vaud Collection was designed by Studio Michael Sans Berlin. 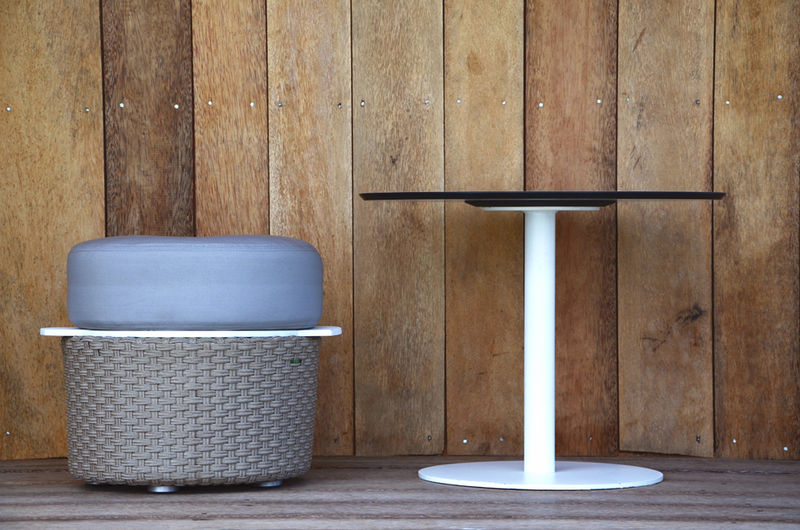 Vaud is an avant-garde outdoor living collection designed by Michael Sans, that includes club chairs, platform sofas and tables. 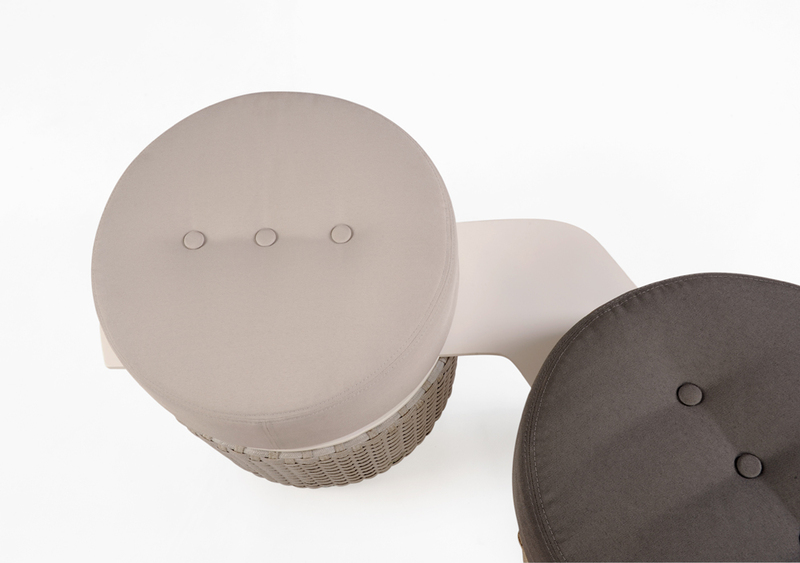 created by Michael Sans is here characterized by a solid 10 mm aluminum profile that flows through the design. 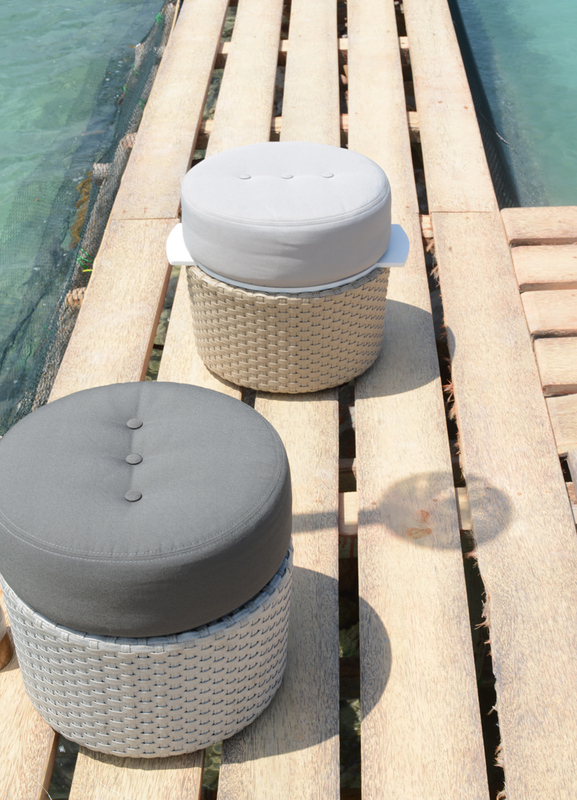 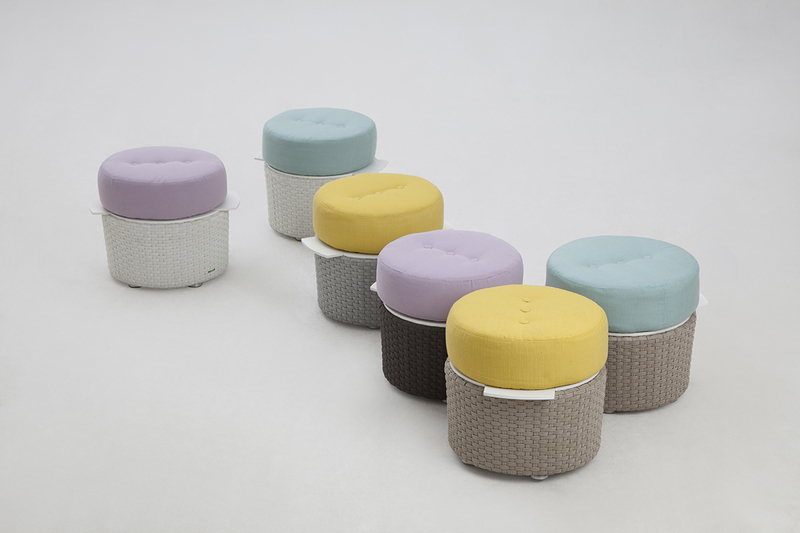 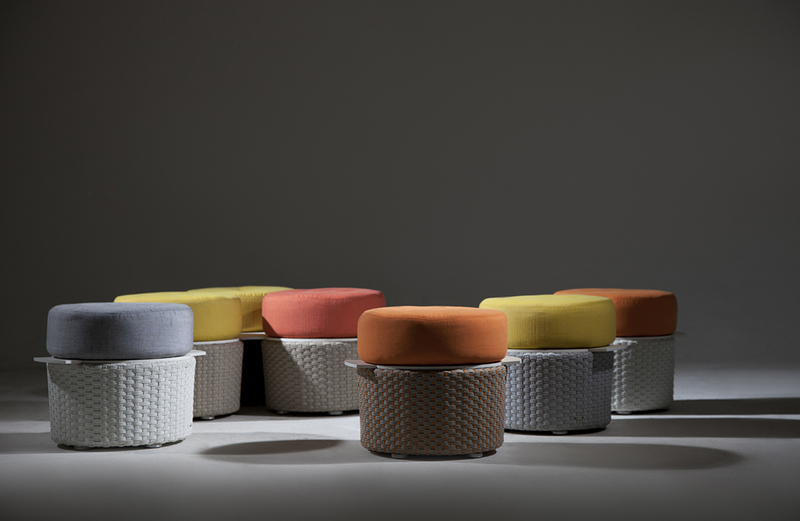 The profile functions as handles and creates the connection between the bespoken 20 mm cushion and the woven stool.